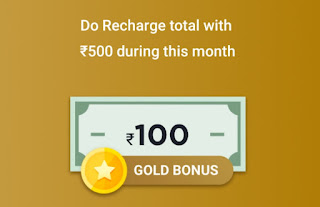 Truebalance App- Get Rs 100 On Recharge of 500 this Month. True Balance is the Balance Management Utility Application for GSM telecommunication market, which helps Prepaid users (95% m/s) to save and manage the balance. Checking the balance is everyday use. Now, such daily use becomes so easy for Android Phone Users. All the info (Telco, Dual SIM, USSD Code) are pre-configured. USSD Balance Notification is such an annoying and repeated spam. This problem and pain is killed by True Balance’s automatic dismiss function. 2. Then Go to Recharge/Bill payment options. 3. Enter your Mobile number Details, Amount and then proceed to payment. 4. 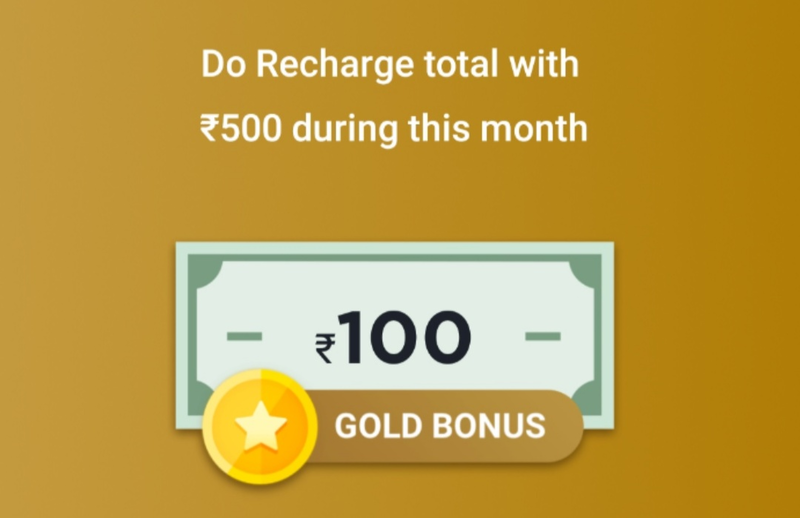 After Your successful payment your recharge amount will be counted for the offer. 5.Ensure that the total payment of Rs 500 is done in the Month of february. 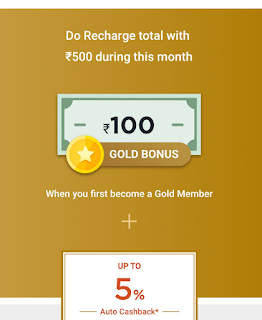 You will get the Rs 100 on becoming Gold Member for the First Time. 6. 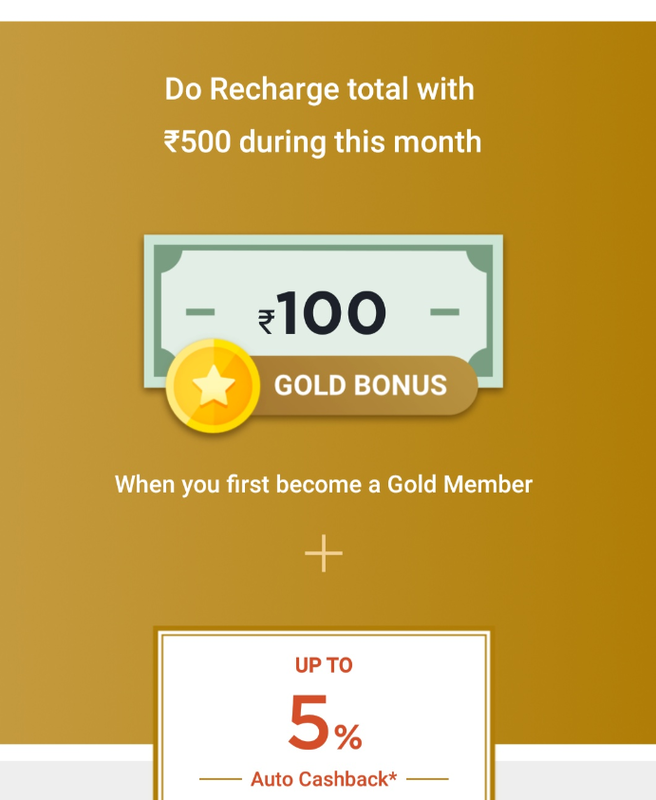 You will also get 5% Cashback on repeated recharge. Valid on successful recharges done till the 28th January.